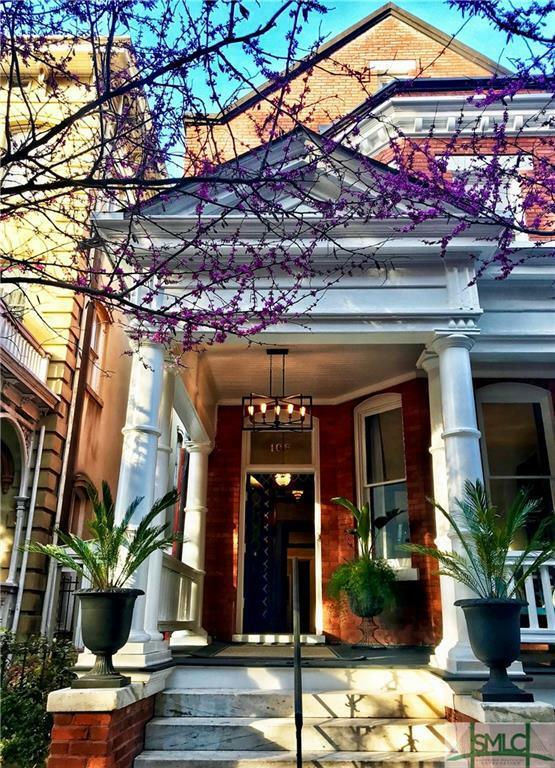 Incredible opportunity to purchase Victorian brick home, c 1905, located just steps from the Cathedral at Lafayette Square in the heart of the Landmark Historic District. 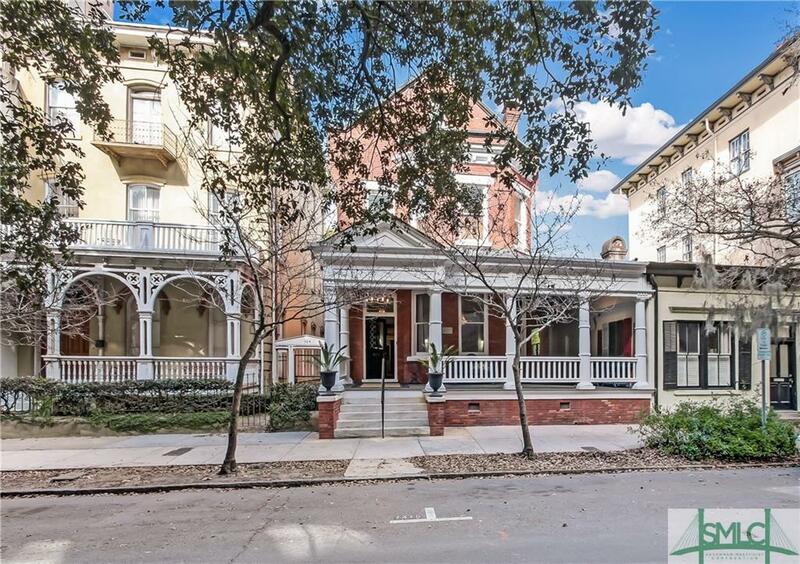 Designed by HW Witcover, architect of Savannah's City Hall; built for Simon Kehoe of Kehoe Iron Works. An incredible wrap around porch welcomes & offers excellent outdoor space. Zoned RIPA, the potential uses are varied! 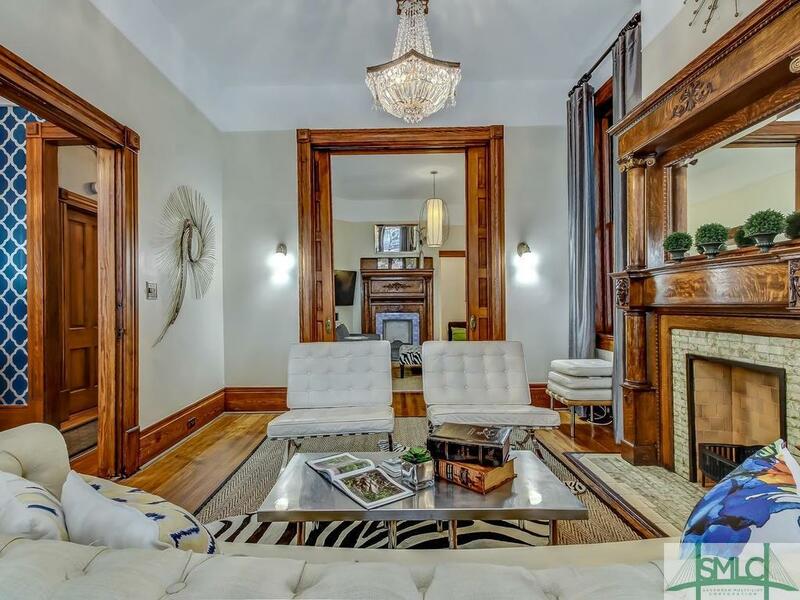 Historic details fill the interior: antique heart pine floors, ornate vintage fireplace mantles, working pocket doors, stunning original wood work. 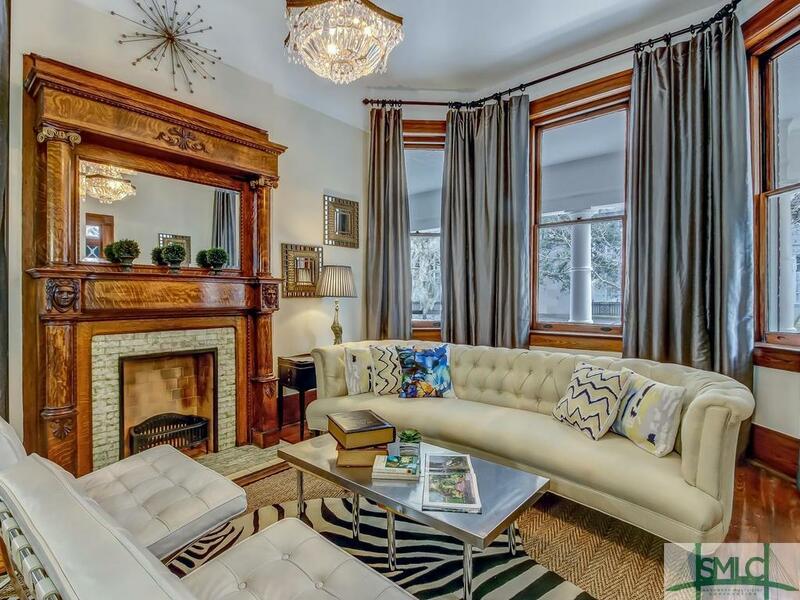 Thoroughly updated w/ large modern kitchen, stylish lighting & fresh interior paint. Rare floor plan is ideal for functional office space w/foyer, large formal spaces ideal for reception, conference rooms, 5+ private offices, 4 baths including a downstairs office with a private entrance. Walk up attic could easily be finished to add 2-3 more offices! Parking for 3 cars. Fully licensed STVR, would make an excellent investment property!